I have been blogging for a couple years now, mostly genealogical in nature. A couple weeks ago, my 7 year old, first grader, grandson Liam and his class at school started blogging! I was very surprised, and thrilled! Another writer in the family! Of couse, don’t tell him that, he’ll tell you quickly he’s going to be a State Park Ranger like his Papa! Liam is the son of my daughter Ali and her husband Greg Orcutt. Liam is a nickname, named for his Great-Grandfather William Donald Brown, and his Great- Uncle William Donald Brown II, called Bill (Greg’s mother–Kaysie Brown’s father and brother). So three in a row we have William, Bill, now Liam, all from the same name! I think that is very cool! A wonderful tribute to beloved family members as well. Liam does so many wonderful and fun things, as you can see from above, but today, I wanted to share his blog with you. It is on a site for his school, not available to the general public. However, he was kind enough to let me repost his blog posts! Thursday night, me and my sister got new shoes. I thought mine were best! I built a new base on “Disney Infinity.” It has a hiding place. I made a world for it myself. My family is going to Disney World. We are so, so , SO excited. I ‘m really excited to go to Star Tours and Animal Kingdom. Categories: A - Z Blog Challenge by the 10 Minute Novelist, Holshouser family posts, Information, Orcutt Family posts | Tags: Ali Holshouser Orcutt, First Grade Blogs, Genealogy, Greg Orcutt, Liam Orcutt, Liam's Blog, Naming Tradition | Permalink. How cool! Get him started young!! – He’s a handsome boy! I love Liam’s blogs. It reminds me of the diaries I used to write as a kid. 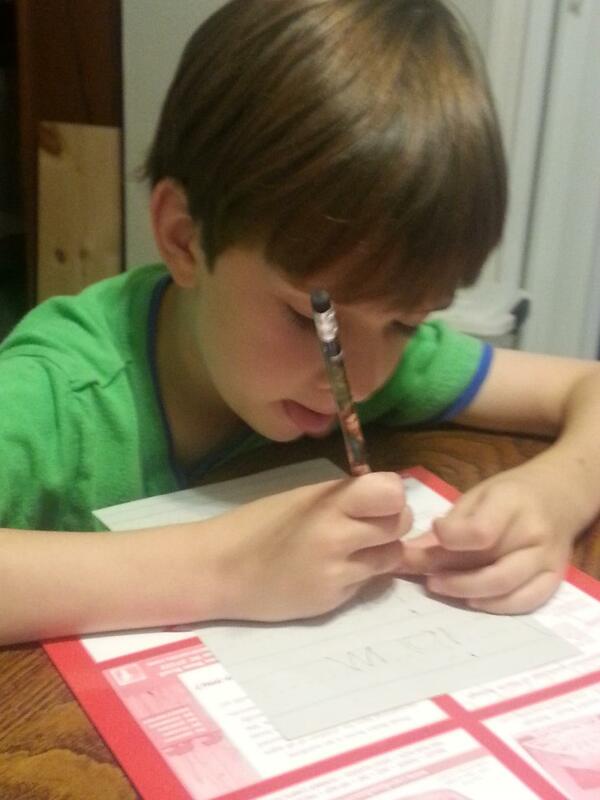 My 10 year old is often caught writing stories–of course he writes mostly about shapeshifters or werewolves! Hi Lauren, thanks, I’ll let Liam know! Oh, my adult daughter is into the show “Supernatural”, Shapeshifters and all! LOL So interesting, at least he is writing! Love it!